Olivia "Liv" Rooney is one of the main characters in the Disney Channel original series, Liv and Maddie. She is 16 years old and the famous identical twin sister of Maddie and she is the oldest of the Rooney Kids. Liv also has two younger brothers and two parents who work at her school. She is a television star whose show just ended. She returns home from filming her TV series in Hollywood to her family in Wisconsin. When she comes back, she becomes a bit more popular due to attending the same public high school as her siblings which, little to her knowing, is a huge problem for Maddie. The twins seem to be polar opposites. Liv is more of a girly girl, compared to Maddie. She seems to be a little full of herself and doesn't pay a lot of attention to others, but her heart is in the right place. It is shown that she loves Maddie deeply, along with the rest of her family. Liv Rooney is perky, energetic, and is very into fashion. Liv loves acting and singing and is very confident when asked to do either of them. She always puts her family and friends first, and even when she messes up when trying to help them, she always has the best intentions at heart. She is sweet, graceful, often see's the good in everyone, and gives everyone a fair chance, even if they are usually are a bad person. Liv is also very outgoing and loves to talk, particulary about herself. Liv can be a bit self-centered and sometimes has a little too much pride in her talent but only because she has such a strong love for what she does and she always means well. Liv loves fashion, music, and dancing. She also is really good at singing. Liv has blonde hair, green eyes, and light skin. Liv is often seen wearing outfits that are a lot more on the fancier side. She wears skirts, dresses, cardigans, peplum tops, and shirts with girly designs. She doesn't usually wear simple clothing like her twin sister, Maddie. She dresses nicely with cute tops and skirts. <div class="floatright"> </div>wearing outfits that are a lot more on the fancier side. She wears skirts, dresses, cardigans, peplum tops, and shirts with girly designs. She doesn't usually wear simple clothing like her twin sister, Maddie. She dresses nicely with cute tops and skirts. 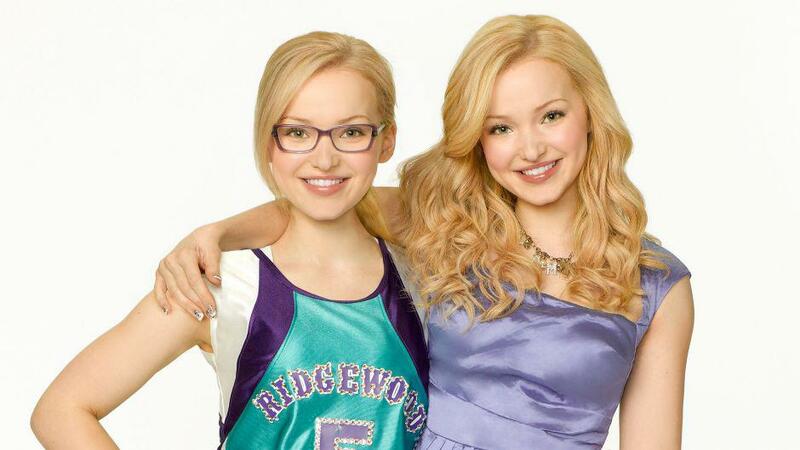 Liv can be incredibly kind to her twin sister Maddie and other people as shown in lots of episodes. She is also helpful to people. She is secretly a genius. She is good at driving because she got her drivers license. Liv is a go getter. She can be very stubborn sometimes when it comes to listening to others and takes matters into her own hands even though she has the right intentions. She also isn't very good at pretending to be Maddie as much as she thinks. Liv sometimes goes too overboard with exciting things, so that causes problems. Liv seems to be close with Joey. He sometimes helps Liv out, for example, in school when their parents came. Like siblings they like to tease each other, in Twin-A-Rooney Joey exposed about Liv pretending to be Maddie during the family meeting after Liv thought that she got away with it. See (Liv and Joey (relationship)) for more information. Liv really cares about Parker as shown in Sleep-A-Rooney she also thought he (and Joey) grew up while she was gone. Liv cares about her mother but she thinks she is no actress, she also helps her as shown in Sleep-A-Rooney. Liv and her father Pete Rooney do not interact much but Liv missed him when she was in Hollywood and hugged him when she arrived. Liv and Jacob get along with each other very well she seems to really care about him and loves him like a 3rd brother. She loves visting him and hands him presents she makes herself along with songs she sings to him. In 11-A-Rooney- it is shown they've known each other since they was 11 when Liv was in Hollywood and Jacob lived next to her and Maddie's aunt Dina but never remembered because he had memory lost the day after. In Hospital-A-Rooney- she is taken to the hospital to see Jacob and saw him telling Maddie when he met Liv in Hollywood. After Sing It Loud! Liv got offered more acting opportunities in <div class="floatright"> </div>other shows and movies, but declined, because she wanted to spend more time with her family, which she hasn't seen personally in 4 years. In Hollywood, Liv stayed with Karen's sister, Dena. She is a very talented singer and actress. Liv can (sort of) pretend to be her sister Maddie Rooney. She is more of a girly-girl compared to Maddie. Liv can be selfish at times but does it because she cares about her family. Liv's best friend is Maddie. Since Liv is currently 16, she probably left for Hollywood when she was 11. It is unknown why Liv and her twin Maddie got blonde hair, while her parents and brothers have brown/black hair. According to her, she has a huge scar from when Maddie hit her with a curling iron after she tried to curl Maddie's hair . Liv has a tendency to sing her sentences when she's excited. She doesn't sleep in bags . She is a talented artist. Liv didn't know that her Great-Gran died. Liv talks to Karen at her locker every morning. Liv has had a long distance relationship with Miller. In between seasons of Sing It Loud!, Liv starred in a movie called The Skateboard Bandit. Liv can do a believable Australian accent. Her character's name on Sing It Loud! was Stephanie Einstein. People thought she was dumb in real life because her character was dumb. Liv is the older twin as she was born on the 5th and Maddie was born on the 6th. When they were little, Liv pretended to be Maddie and Maddie pretended to be Liv, then Karen would write their names in permantent marcker on their foreheads. She passed her driving test and got her lisence. Sometimes when she's really excited she says 'Yaysie'. Her style is mostly sparkles and ruffles, simple but cute. Ocean is one of her best friends. She gives Maddie advice about boys. Liv is usually seen wearing high-heels. It is referenced that in-between seasons, Liv filmed a movie called "The Skateboard Bandit". It is revealed that Liv has an irrational fear of bugs. She has had a huge crush on Jacob Mitchell since she was a 11. </div> To view the Liv Rooney gallery, click here .